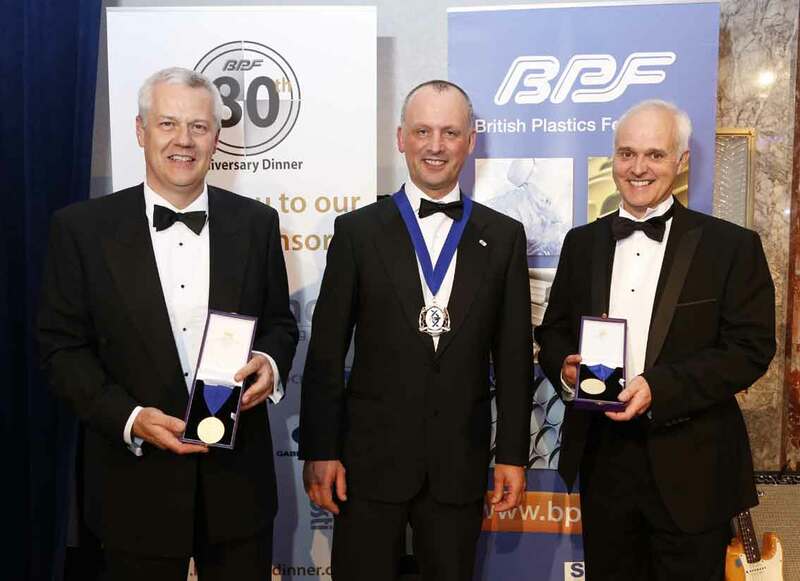 The British Plastics Federation has awarded its prestigious gold medal for services to the Federation to two highly respected figures in the UK PVC industry. 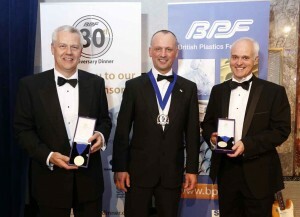 At the BPF’s Annual Dinner the Federation’s President, Mike Boswell, presented the gold medals to Roger Mottram and Jason Leadbitter, both of Ineos ChlorVinyls. ‘Both Roger and Jason richly deserve this award’ he said, ‘They have unstintedly committed their time, energy and expertise in the service of the PVC industry through the British Plastics Federation. They have played a crucial and central role in positively developing the reputation of PVC products and the industry producing them’. Roger Mottram, a longstanding Chairman of the BPF’s Vinyls Group, originally joined ICI in 1984 as a first-class honours graduate and was seconded to the European Vinyls Corporation in 1989. As Environmental & Regulatory Affairs Manager within Ineos ChlorVinyls, he is now responsible for PVC and chlor-alkali products. Not only was he a founder member of the BPF Vinyls Group, Roger has also been a key contributor to the programmes of ECVM and Plastics Europe. Dr Jason Leadbitter is Sustainability and Compliance Manager with Ineos ChlorVinyls and has worked within the PVC sector for some 24 years, originally with Hydro Polymers. A stalwart member of the BPF’s Vinyls Group he is also Chairman of the Controlled- Loop Recycling Committee within VinylPlus. Noted for his expertise in applying rigorous principles of sustainability to PVC manufacture, he has lectured at many universities and business schools, including INSEAD at Fontainebleau. BPF’s Director General, Peter Davis said ‘Roger and Jason are unique. Their careers have run in parallel since they were students together on the same course at the University of Bradford. They held broadly similar positions in their respective companies and now work together in a powerfully talented team. Wherever the action has been on the PVC front they have always been in the eye of the storm. Their work on behalf of the BPF membership has been truly outstanding and deserves the highest recognition the BPF can bestow upon them’.